According to an article from Canadian HR Reporter, Canada relocation has surpassed the UK and Australia to take second place among global destinations preferred for employees moving abroad for work. The USA, our massive neighbour to the south, is firmly in the number one place. However, the poll released by the Canadian Employee Relocation Council, found Canada to be #2. The survey, known as the 2017 CERC Global Mobility Survey, received responses from 10,091 workers in 20 different countries. Despite the long winters and icy temperatures, many workers from around the globe want to move to the land of maple syrup and poutine in order to work, live and raise their families in this peaceful, safe, democratic and welcoming environment. It is thought that the increase in interest in Canada as a place to live comes as other more typical employee destinations experience unrest. 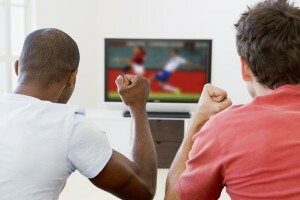 When workers around the world turn on the television and see what is happening in the USA, it causes a lot of concern. Also, Canada offers a lot of positive benefits – including health care and a safe environment. 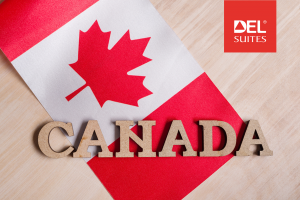 These attributes are luring workers to Canada from all over the world and are significant factors in Canada’s rise within the list of most desirable places to live. Also, countries such as the USA, the UK and Australia are making more difficult for people to enter and work. Canada is currently opening up and going in the opposite direction, which makes it more appealing for Canada relocation. According to an article from CBC News, relaxed rules for obtaining Canadian citizenship took effect late last year. The Minister of Refugees and Citizenship, Ahmed Hussen, announced that these changes will make joining the “Canadian family” more flexible. Some of the changes implemented include a reduction of the required duration for physical presence in Canada from 3 out of 5 years to 4 out of 6 years. Also, a portion of the time that has already been spent in Canada before achieving permanent resident status will now be allowed to count toward time for residency requirements. Canada has also been designing systems that are designed to lure skilled workers from around the world, such as the Express Entry System and the new Global Skills Strategy. These new changes are part of a larger overhaul of the Canadian Citizenship Act. Canada aims to be more open to migration and to serve as a beacon for top global talent. Are you relocating to Canada? If are moving to Canada, we can help. 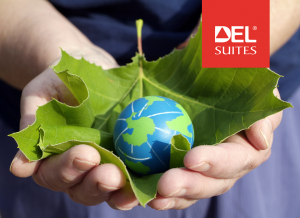 Contact DelSuites today to learn about why our furnished apartments are the ideal place to stay during a relocation. Many people travel for medical care and they do so for many reasons – whether it’s due to costs, a long wait list, to see a specialist doctor or a need for a treatment that isn’t available in their area. No matter what the reason, here are some tips that will make medical stay travel more comfortable. One of the most helpful ways to prepare for medical stay travel is to speak with past patients and medical staff. What was their experience like? What do they recommend to make the trip go more smoothly? Talking to someone who has first-hand knowledge is incredibly valuable. Your doctor or hospital contact may have a list of past patients who have granted authorization to be contacted by prospective patients. You’ll need to bring medical records with you, such as X-rays, prescriptions, immunization records and other information. Make sure that you make copies and leave one set of copies in a safe place at home. Also, ensure that you have the correct travel visa for your trip. When you are traveling for medical stays, the last thing you want to do is spend a lot of time commuting across the city back and forth to the hospital. Look for a furnished apartment Toronto that is close to your treatment centre so that you can get to your appointments quickly and easily. Serviced apartments offer spacious bedroom and living spaces that will allow enough room to recover in comfort. Also, you’ll have plenty of room to bring friends or family members along to assist you. Your accommodation provider may offer a discounted rate if you let them know that you are going to be staying there for the purpose of medical stay travel. This can really help to keep the expenses of your trip down, so it’s certainly worth asking about! There’s something very comforting and convenient about having your own fully equipped kitchen in your accommodation. If you have to stick to a particular diet for medical reasons, it will be easier when you can choose your own ingredients and cook your own meals. Also, sometimes after spending a day on appointments with doctors, you might not feel like going out for dinner and may prefer to eat in. There are services which will support you with home health care and medical supplies while you are traveling for medical treatment. 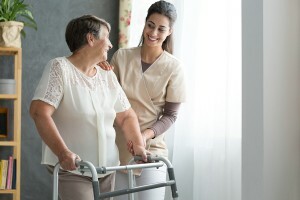 DelSuites partners with AgTa and Essentially You to provide a number of health services in their furnished apartments, including wheelchairs, canes, crutches, personal care, meal preparation, rehabilitation and much more. They also provide babysitting services if you need someone to watch your children if you need. If you are in need of healthcare services or supplies during your stay, contact them to find out more about the options. These days it is more important than ever to be connected wherever you are staying, as the internet is such an integral part of our daily lives. Digital home services are important and according to a report in the New York Times, free Wi-Fi is increasingly present on the list of traveller’s must haves. Gone are the days of paid Wi-Fi. Any savvy traveler knows that Wi-Fi should be unlimited and free as a baseline feature. DelSuites has always seen the importance of this and have provided great services in the past but now we are offering digital home services bundles that provide guests with digital utilities such as internet, cable and telephone bundles. These digital home services features continue to improve the quality of the guest experience when staying at DelSuites – making these furnished apartment rentals one of the most convenient and comfortable options for staying in the city of Toronto. Guests at DelSuites will enjoy the convenience of unlimited wireless high speed internet, keeping them up to date with emails, news, social media, videos and more. For those who are visiting on business this is a necessity, allowing them to do the work they need to do during their stay. In the case of vacationers, wireless internet is still crucial, as they want to be able to communicate with family and friends, update social media, research things to do in the area, read reviews of local restaurants and attractions, book tickets and much more. Guests will also be able to take advantage of free local or long distance calling to any number within North America, excluding Alaska, Hawaii, Yukon, Puerto Rico, Nunavut, the Bruce Peninsula and Northwest Territories. When it comes to international calling rates, the prices are competitive with no additional administration costs. This means that visitors travelling from overseas will find it easy to stay in touch with their friends and families back home for an affordable rate – no matter where they are from. Our Premium digital package will keep guests entertained as it features premium HD television with close to one hundred channels and includes HBO and many premium movie channels. Guests will be able to directly order specialty sports and language packages using their credit card, without any additional administration costs. As well, guests with Netflix accounts can catch up on their favourite shows! If guests require technical assistance with any aspect of their digital bundle, they will have direct access to tech support from the comfort of their suite. 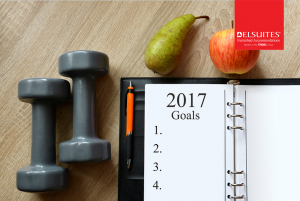 Is your New Year’s resolution for 2017 to eat healthier? Here are some healthy Toronto restaurants that will make your goals easier to achieve. Eating healthier and more nutritious food will bring you many benefits. Not only will you lose weight, but you will also find yourself with more energy, better skin, a boosted immune system and much more. Most of the time eating healthy means stocking up on veggies, whole grains and lean proteins from the supermarket and cooking up nutritious meals at home. However, what about those nights when you just don’t have the energy to cook for yourself? Eating out at a restaurant or café doesn’t have to mean giving up on your healthy food goals. 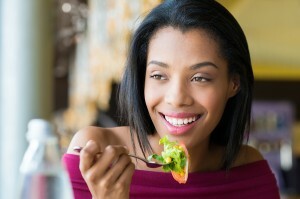 There are many places that serve up nutritious and delicious food that will be good for your body. This healthy Toronto restaurant in the Annex will help you to feel more vibrant and alive, with its inventive and flavourful sugar free, gluten free, raw gourmet dishes. The entire menu is gluten free and they use high quality organic ingredients. Try the Mediterranean Platter that is great for sharing, with cherry tomatoes, cashew dill ricotta, hemp basil pesto and sunflower falafel. This healthy cafeteria focuses on serving up healthy dishes that are as nutritious as possible. It aims to dispel the myth that good-for-you food has to be bland or boring. Some of the tasty dinner options include grilled flank steak and bison meatballs, or you can head there for breakfast and feast on granola bowls or a Power Breakfast that features salsa, scrambled eggs, sweet potato, avocado, spinach and chorizo. This vibrant Kensington Market restaurant offers a fantastic salad bar where you can fill up on greens and quinoa, as well as yummy healthy sandwiches, dairy free cupcakes and gluten free treats. Try the grilled vegetable sandwiches which are warm and crispy on the outside, soft on the inside and stuffed with veggies such as zucchini, grilled eggplant, spinach, sweet potato and shredded carrot. What’s one of your favourite healthy Toronto restaurants you’ve visited before? Please feel free to share your recommendations with us in the comments below. Dont forget to check out these quick and easy healthy snacks when you are busy and on the go!